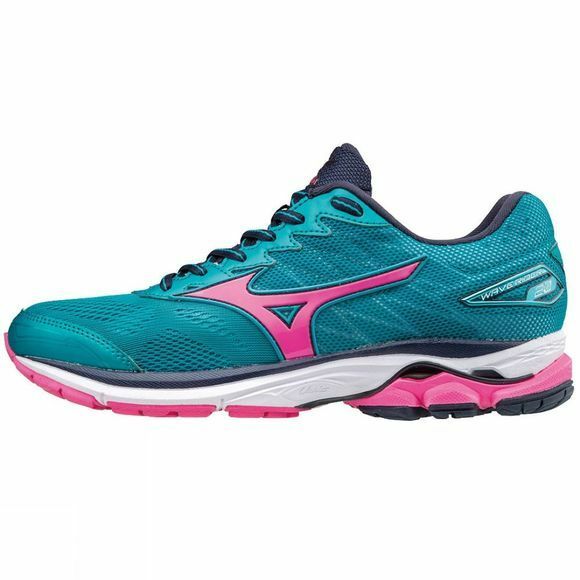 Mizuno has transformed running once again with a redesigned Wave technology for softer cushioning, and an enhanced responsive feel, making the women's Wave Rider better than ever. 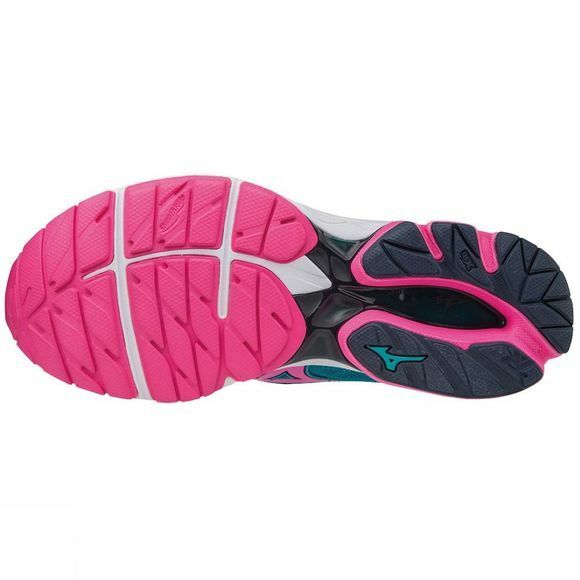 Mizuno's Dynamotion Ft features a breakthrough in "Triple Zone" engineered mesh for breathability, movement, and hold when it is needed while running. The Wave Rider 20 is intended for runners who have a higher, more stable arch that does not pronate excessively(roll inwards) or may even supinate (roll outwards). Neutral Cushioned shoes offer very little or no structure or pronation support and are generally more flexible than stability shoes. Runners who require a neutral shoe tend to notice more excessive wear on the lateral (outside) side of the soles of their running shoes. Neutral shoes can vary from lightweight and minimal cushioning to maximum levels of cushioning depending on the needs and preferences of the runner. Runners with high/stable arches tend to notice pain on the outside (lateral side) of their shins and knees and may also battle plantar fasciitis if not wearing a neutral cushioned shoe.